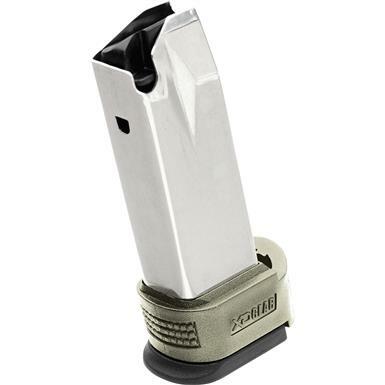 16-round Springfield XD Sub-compact 9mm Magazine with Olive Drab X-tension. More bang for your buck! This high-quality Magazine fits Springfield XD Sub-compact pistols chambered in 9mm. It features a stainless steel finish, 16-round capacity, and olive drab X-tension sleeve. Get yours here for LESS!